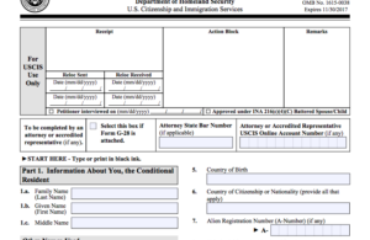 Immigrants cannot independently apply for work permits also called “Employment Authorization” or Social Security Numbers unless they have some immigration status, such as being a citizen, lawful permanent resident (green card holder), temporary protected status holder, refugee, asylee, or other status that grants work authorization. Immigrants can still pay taxes by using what is known as an “individual tax identification number” (ITIN). An ITIN is not a social security number. ITINs are issued regardless of immigration status because both resident and nonresident aliens may have a U.S. filing or reporting requirement under the Internal Revenue Code. In the United States, a Social Security number (SSN) is a nine-digit number issued to U.S. citizens, permanent residents, and temporary (working) residents under section 205(c)(2) of the Social Security Act, codified as 42 U.S.C. § 405(c)(2). Three different types of Social Security cards are issued. The most common type contains the cardholder’s name and number. Such cards are issued to U.S. citizens and U.S. permanent residents. There are also two restricted types of Social Security cards. Social Security numbers are used to report a person’s wages to the government and to determine a person’s eligibility for Social Security benefits. You need a Social Security number to work, collect Social Security benefits, and receive some other government services. Lawfully admitted noncitizens can get many benefits and services without a Social Security number. You don’t need a number to get a driver’s license, register for school, get private health insurance, or apply for school lunch programs or subsidized housing. IRS issues ITINs to foreign nationals and others who have federal tax reporting or filing requirements and do not qualify for SSNs. A non-resident alien individual not eligible for a SSN who is required to file a U.S. tax return only to claim a refund of tax under the provisions of a U.S. tax treaty needs an ITIN.